Although the client area now offers you the ability to change your payment method via the 'My Details' area, it is important to know that changing your payment method within this area WILL NOT cancel any automatic paypal subscriptions you have. You will need to login to paypal to cancel the subscription OR email billing@portfoliositez.com to cancel the subscription for you. If the subscription is left active PayPal WILL CHARGE YOU regardless of the setting within our system. This will save your payment method as Credit Card, and will automatically set up automatic monthly, annual or biennial payments payments via the credit card on file. If YOU do not contact us to request the subscription be cancelled, or cancel it YOURSELF, PayPal WILL continue to charge you on their own, for which Portfoliositez can assume no responsibility. 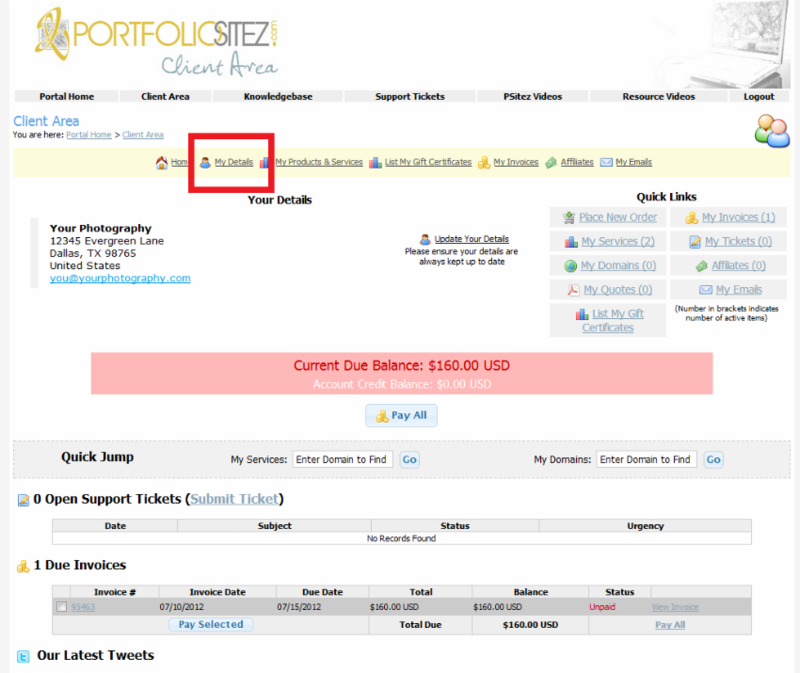 If you have additional concerns about this issue, please contact billing@portfoliositez.com!